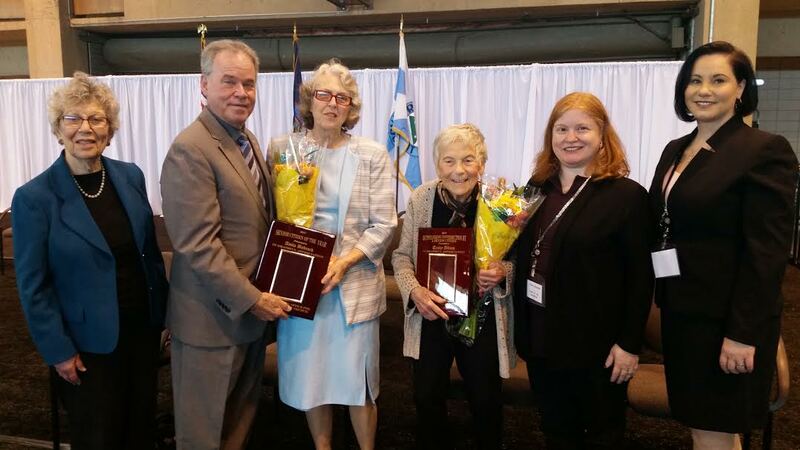 NEW CITY, NY – Rockland County Executive Ed Day congratulated two seniors who were honored at the Power of Age conference organized by the Rockland County Office for the Aging. Senior of the Year award went to Anita Babcock, former president of Stony Point Seniors Club II. She organizes and delivers gifts for the veterans at Castle Point VA Hospital and raises money for Homes for Heroes. Suffern resident Trudy Album won the 2017 Outstanding Contribution by a Senior Citizen Award. Trudy survived the Holocaust. She goes to schools and other groups telling her story – making sure no one ever forgets. ed day, power of age, Rockland County Office for the Aging.